This is a stupid thing that has been bugging me but I never really made the effort to look into it. I used to know how to do this since I actually did a Microsoft course that covered DNS yet I just couldn’t remember how to set this up properly. So you’re in your web browser or you want to ping a device on your network and you only want to put in the hostname, without the FQDN. Turns out it’s very simple. What you want to do is right click Reverse Lookup Zones, and click New Zone. 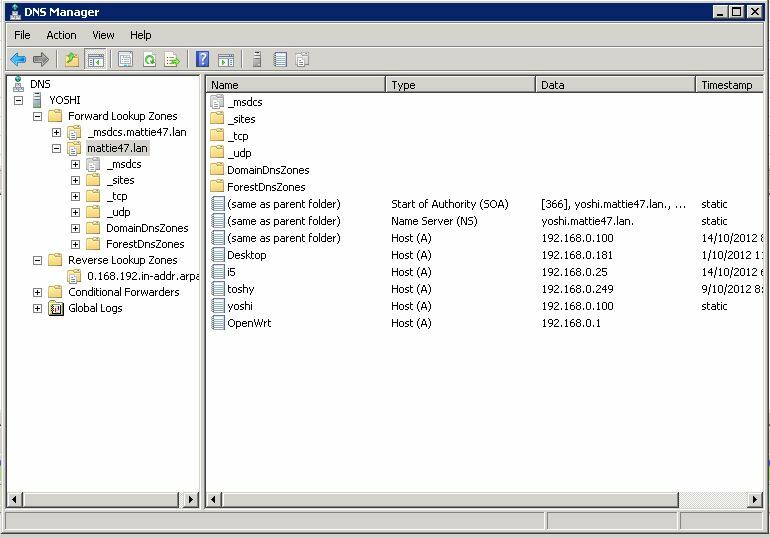 Depending on how you have DNS set up (say you have more than one MS DNS server) you may need to configure this differently, but I imagine you’ll probably be the same as me, which is selecting “Primary Zone”, and “Store the Zone in Active Directory” ticked > Next. Again, choose the Zone Replication that suits your AD/DNS set up, Next. Choose IPv4 or IPv6 reverse lookup. Hopefully a no brainer for you. Now we’re finally at the screen that matters. This is where you put the IP subnet where your Forward Lookup Zone resides in. As you can see above, my domain is mattie47.lan, which has devices just in the 192.168.0.0/24 subnet. 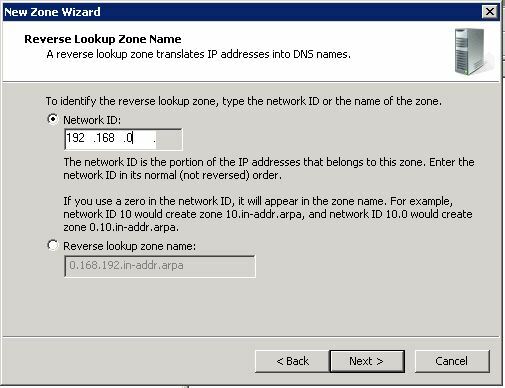 I believe you will need to do a Reverse lookup zone for each subnet you want to resolve to that has devices in, so go through all these steps, finish, then start again for the next subnet (I could be wrong, but I’m pretty sure I’m right…). Click next once you’ve filled it in. The next screen again will be specific to your set up. Finally click finish. For me, things just worked, but you may need to set up pointers (either double click each Host A record, and tick the box, or go under your new reverse lookup zone > right click > New Pointer. This entry was posted in Networking, Windows and tagged dns, server, windows by Matt. Bookmark the permalink.